I ran into this a week or so ago and it made me laugh as well as groan out loud. I can’t find where I got it from, if anybody knows the source let me know as I’d like to credit it. 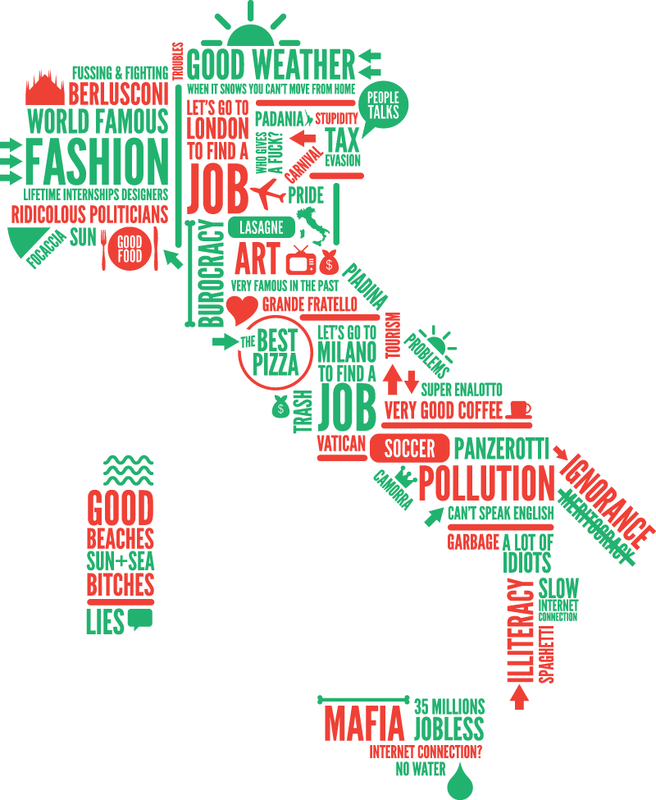 It might be that only other expats in Italy can completely understand it all – what is your impression? Also, are the words placed on purpose where they are to correspond sort of? mmm….